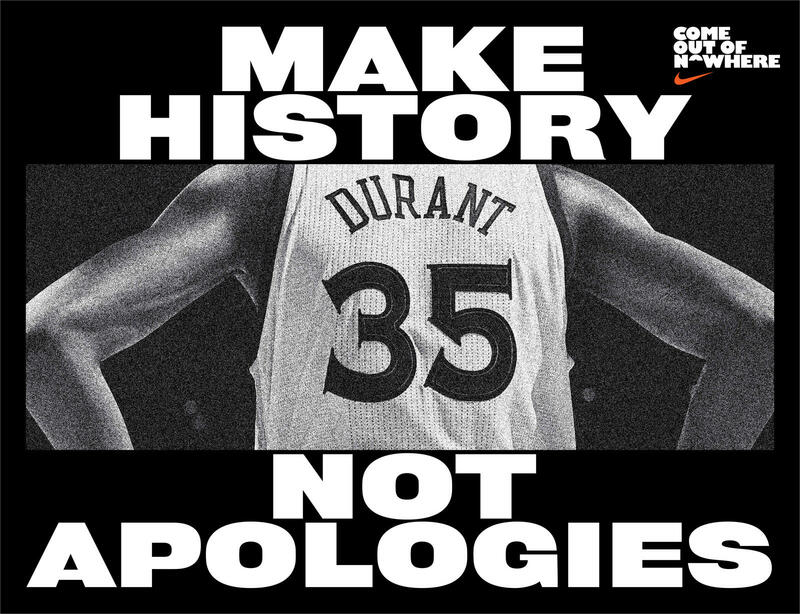 Boys and girls, big and tall follow in the footsteps and words of King James every day as they defy expectations and overcome adversity. 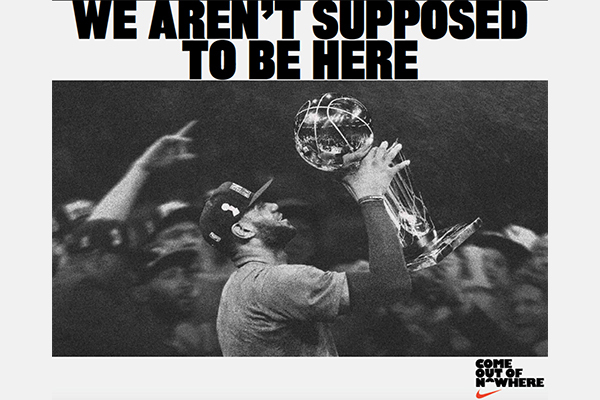 The entire narrated ad has the feel of some old Jordan spots. Despite 52 years of heartbreak in the city of Cleveland and a 3-1 deficit against one of the greatest regular season teams on all-time, the Cavaliers continued to fight and showed the heart of a champion. With the Finals on the line and the game tied at 89, James refused to give up as he chased down Andre Iguodala, and came out of nowhere for the most iconic block in NBA history. 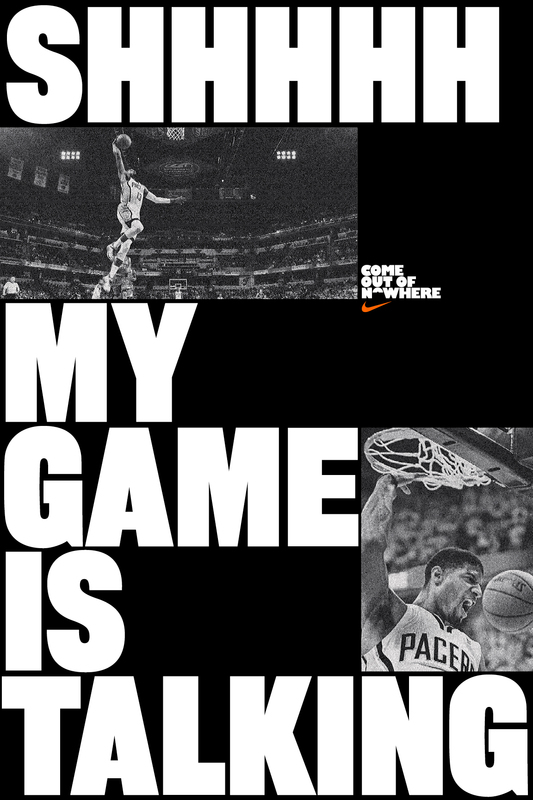 A block that Nike references in the ad. Perhaps no NBA star looks the part of the overlooked superstar than Anthony Davis. 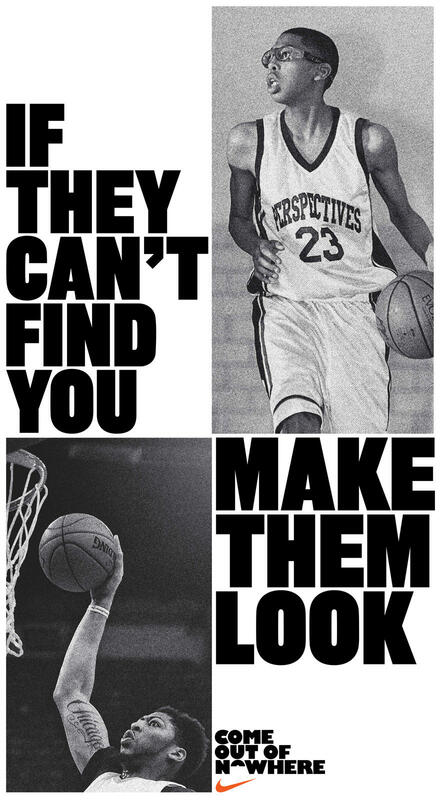 The Unibrow’s poster features a gangly teenage Davis, complete with rec-specs, sporting the jersey of the academically driven and often-overlooked Perspectives Charter School. Regardless of your goals or where you are on the ladder, there is always someone whose been there before and made it to the top. And for those people that spent their life being overlooked, the journey becomes that much sweeter. Because the cheers are always louder when your victory comes out of nowhere. 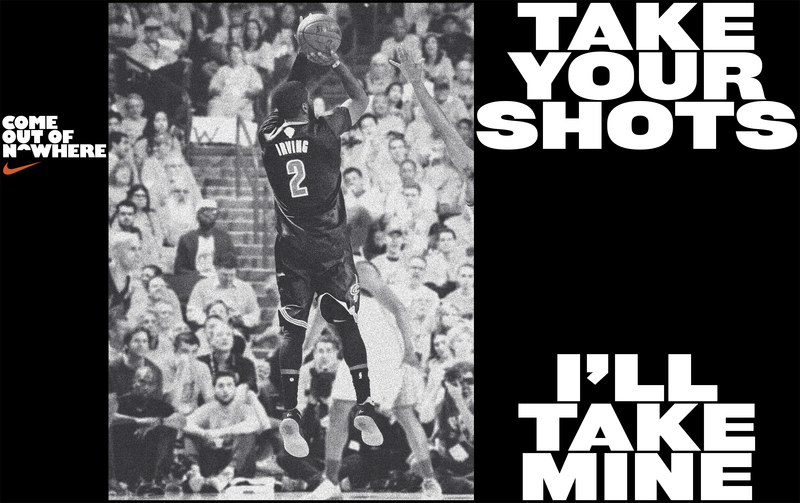 Irving is quickly developing a reputation for being a clutch shot taker. The game-sealing shot in Game 7 in the face of Steph Curry was his biggest, but certainly not the only one. Maybe it’s the generic name that is made up of two nondescript first names, but Paul George is an overlooked commodity in the League. 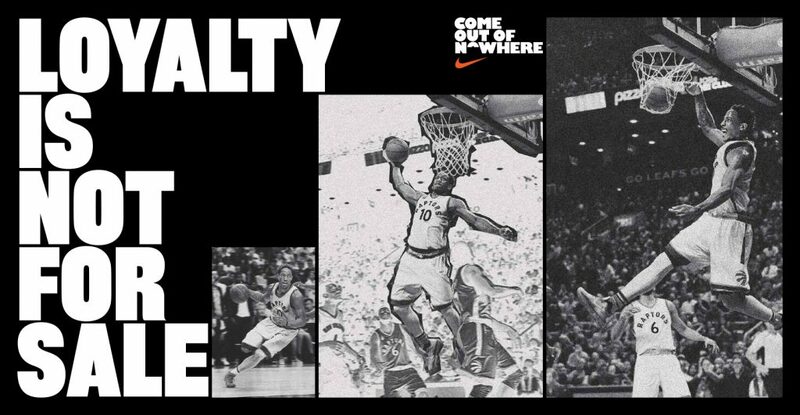 A dominant two-way player in the same conversation as LeBron and Kawhi Leonard, the underrated PG13 is happy—as the poster suggests—to let his actions speak for itself. There used to be a time when elite players drafted by the Toronto Raptors would build their star up North, and at the first opportunity, cross the border to leave the cold and basketball-obscure Toronto to come back Stateside. The days of Damon Stoudamire, Vince Carter, Tracy McGrady and Chris Bosh bolting south are long gone, as are the days of basketball playing second fiddle to hockey in 6ix. 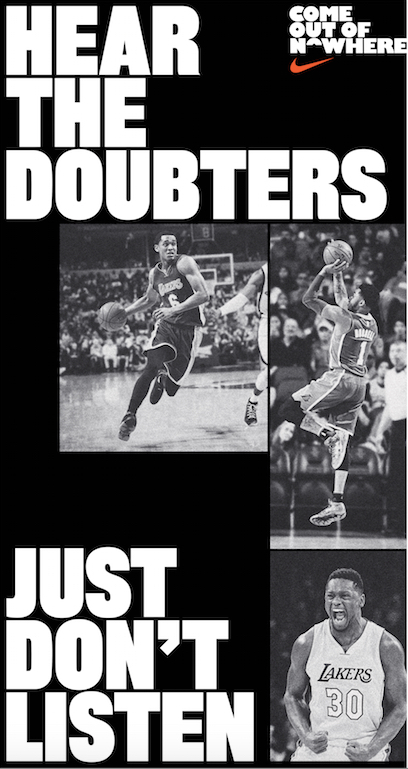 No less proof of that is DeMar DeRozan staying true to Tdot when he had every opportunity to leave this offseason. The Compton, Calif product could’ve gone closer to “home”—except he found a new one. The last pick of the draft is supposed to be happy being the answer to a trivia question, not an All-Star. Isaiah Thomas has struggled with perception since being the 60th of 60 players to have their name called at the 2011 NBA Draft. He’s been shunned starting job after starting job while the teams that have given up on him have been struggling to find a stable point guard. The chip on Thomas’ shoulder that he plays with is huge, matched only by his heart. With Kobe gone, the Lakers organization is headed toward a few long winters of rebuilding. Or will they? It’ll be up to the young core of Russell, Clarkson and Randle (let’s not forget No. 2 pick Brandon Ingram) to ensure the Lakers don’t lose their luster just yet.